The NE-SW striking Møre-Trøndelag Fault Complex (MTFC) is a key element in the structuring of Mid Norway. Studies of remote sensing data show that the fault complex has a width that exceeds 50 km. Within this zone, characteristic structures include folded, mylonitic km-wide sinistral detachment zones, truncative, steep, discrete fault strands and numerous smaller fracture-lineaments. Repeated reactivation is revealed through a range of fault rocks, spanning from mylonites to unconsolidated breccias and gouge. Brittle structures fall in two categories, (i) major fault strands, and (ii) wider, intervening damage zones hosting fracture-lineaments that, by field checking, are confirmed to be smaller faults. In the coastal region of Fosen and Vikna, major fault trends that relate to the MTFC are approximately NE-SW striking, whereas smaller faults are seen as three main sets with E-W, N-S, and NW-SE orientations. Outcrop studies show that steeply dipping to vertical NW-SE faults of the Fosen Peninsula (Osen area) are characterised by c. 1-km regular spacing. They host mylonites found as clasts in cataclasites and a late overprint of tensile fractures. These fault rocks probably relate to the latest Caledonian, extensional denudation and unroofing of the region. Studies of N-S faults reveal similar characteristics. Resolved movement on NW-SE faults divides into dextral horizontal separation of some tens of metres at the most, and an additional dip-slip component. In contrast, one studied NE-SW fault strand of the MTFC, the Drag fault of Vikna, reveals extensive deformation in a broad zone of mylonites and cataclasites. These rocks are cut by dm-scale layers of non-cohesive breccia and gouge. The latter fault products likely relate to Jurassic or even later faulting and associated, near-shore basin formation. We conclude that major NE-SW fault strands of the MTFC have experienced multiphase reactivation in the Phanerozoic, which is in contrast to the intervening, broad damage zones. They are basically unaffected by late to post-Caledonian deformation events. 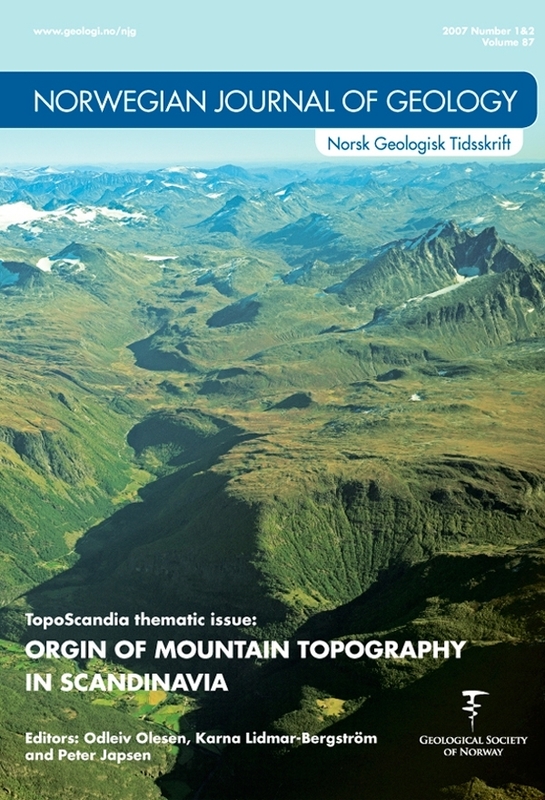 Elin Olsen & Roy H. Gabrielsen1,2; Geological Institute, University of Bergen, 5007 Bergen, Norway. 1 now at Dept. of Geoscience, University of Oslo, P.O. box 1047 Blindern, 0316 Oslo, Norway.